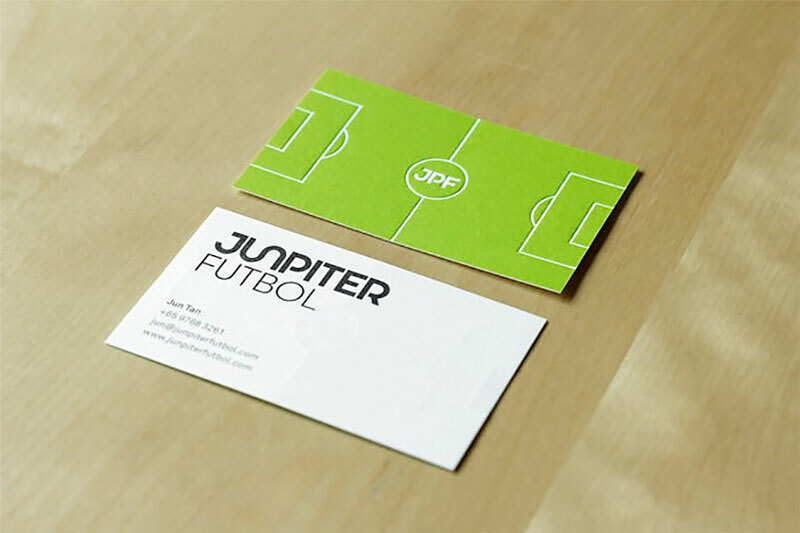 A collection of great business cards that could inspire you when designing your next card. 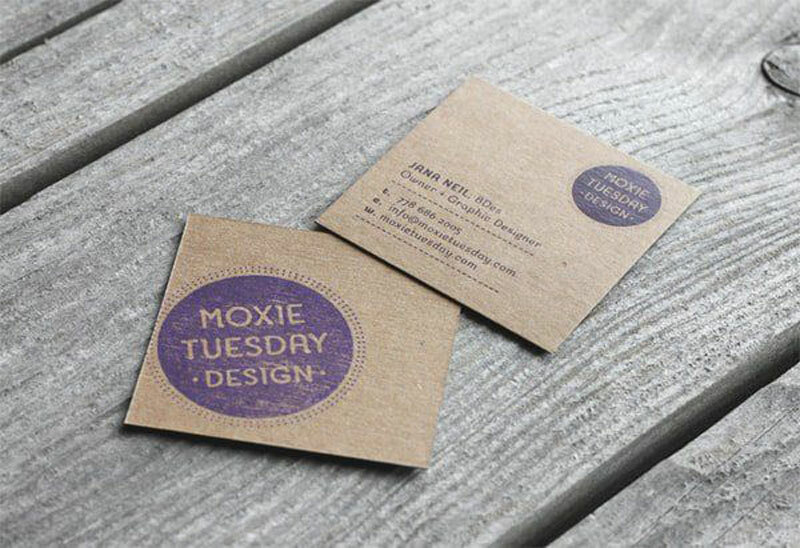 A square-shaped business card with recycled paper and good use of textures. Designed by Jana Neil. 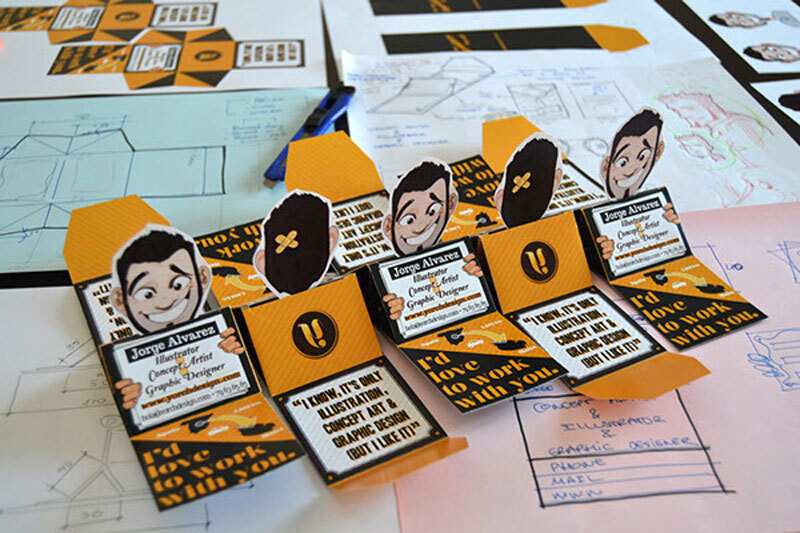 A folded business card that took a lot of time and effort. Totally worth it though. Design by Jorge Alvarez. 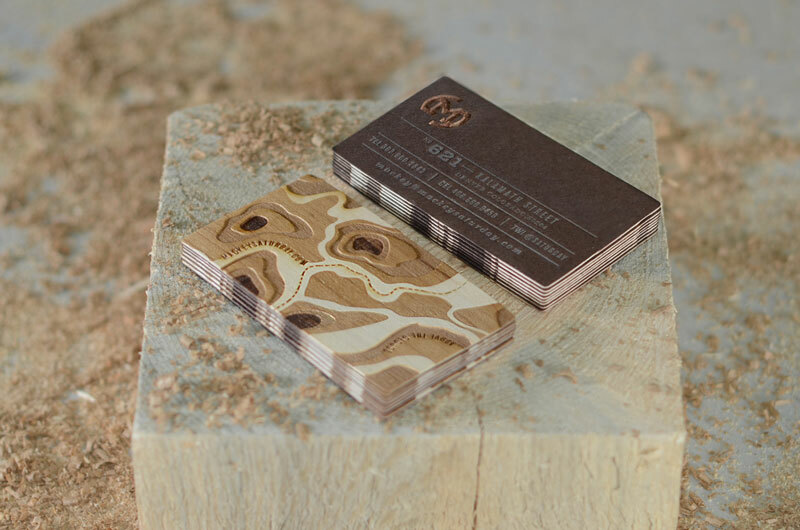 Business cards made with duplexed wood veneer + letterpressed metallic ink on paper with laser etching on both sides. Design by Mackey Saturday. 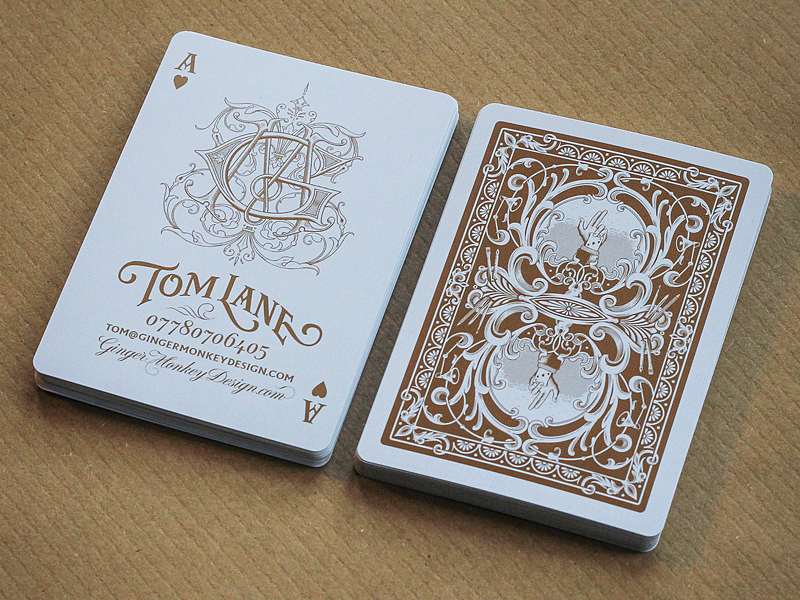 Business cards that look like playing cards. Design by Tom Lane. A nice card with a custom shape and a powerful message. Designed by Andrew Power. 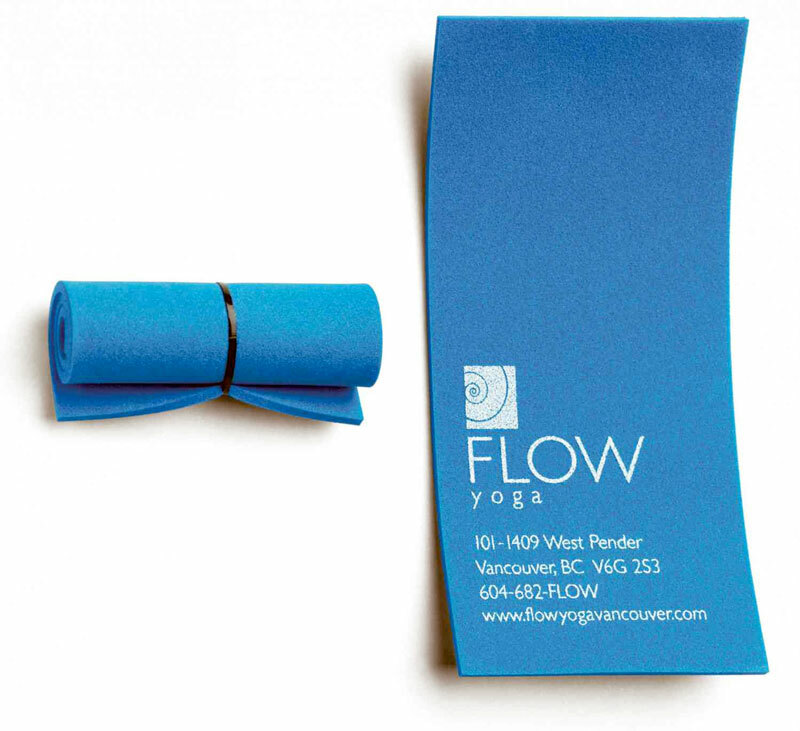 A business card designed to look like the main item required to go do yoga in a gym. Designer unknown. 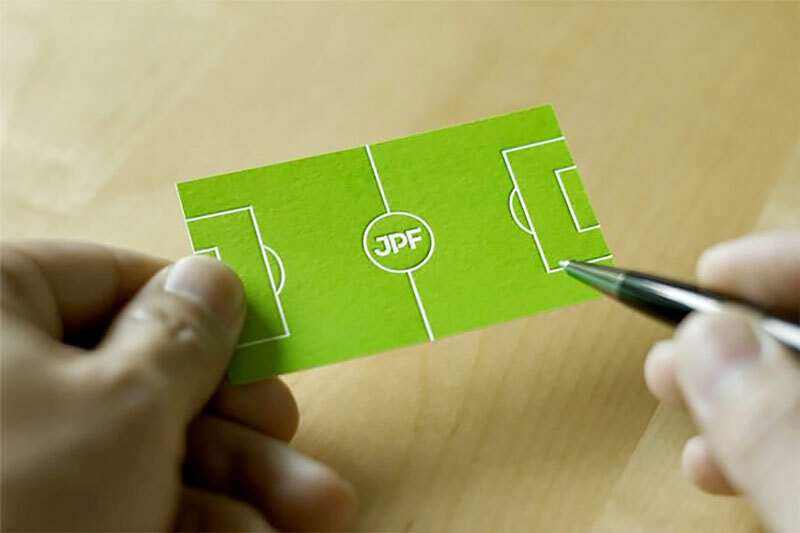 A very creative business card for a football coach. One side of the card looks like a football field plan and allows to scribble some strategy. 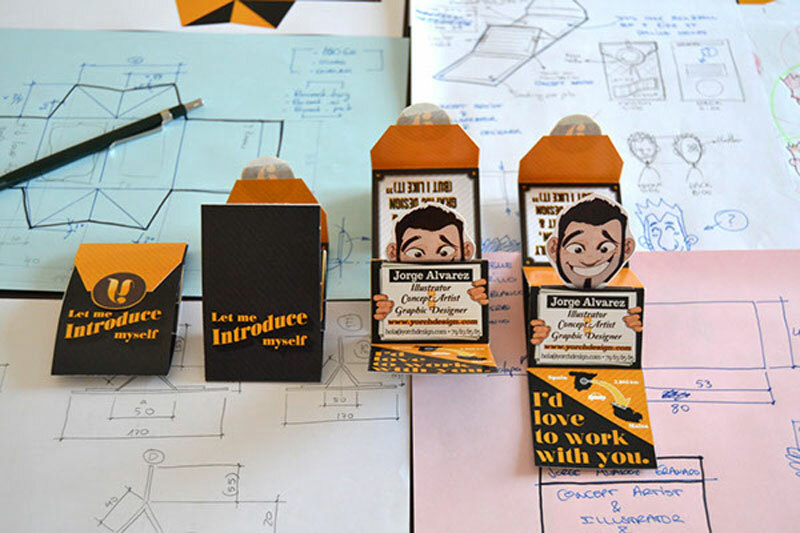 Design by Bravo Company. 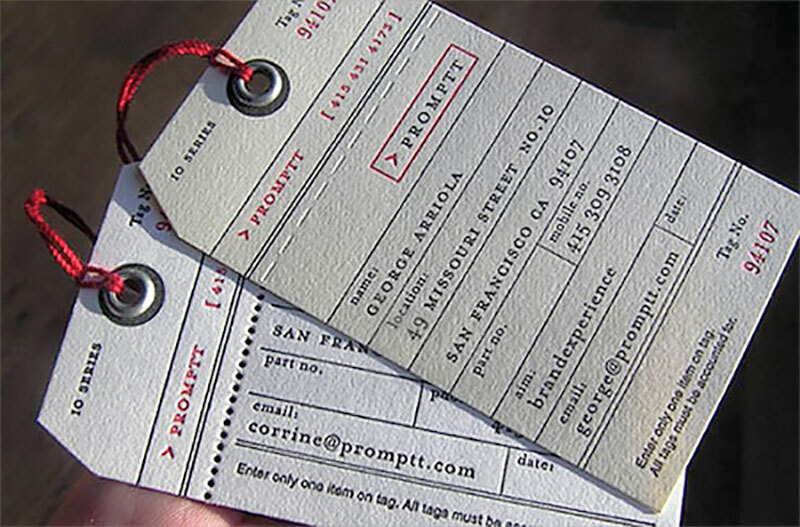 A cool business card designed to look like a bag tag. Designed for Promptt. 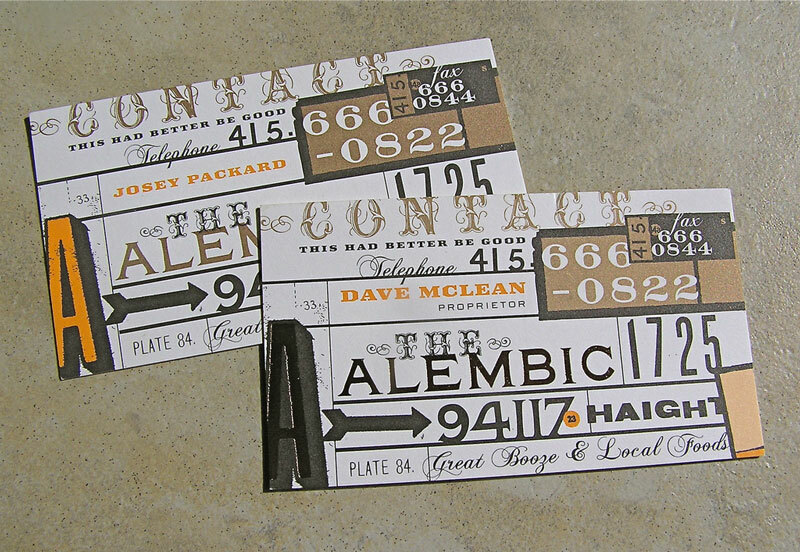 A businn card that mixes many fonts and does it well. 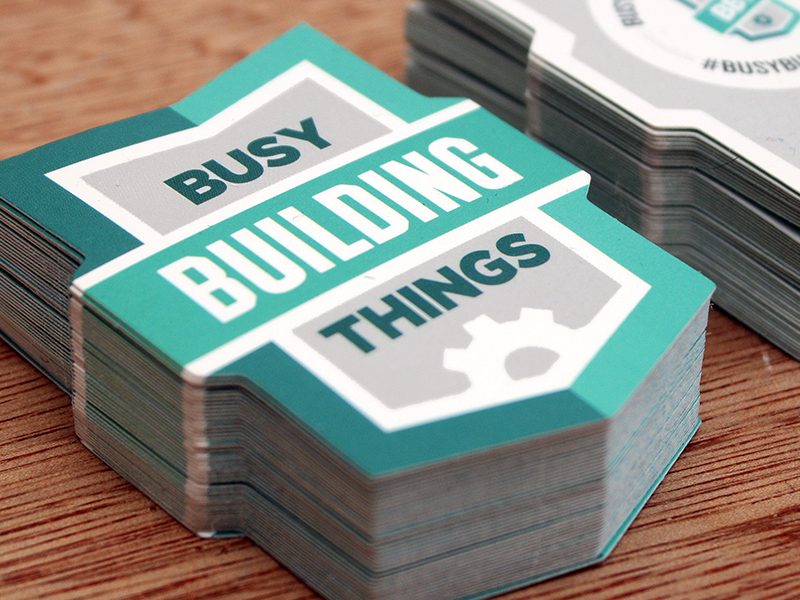 Design by Nothing Something. 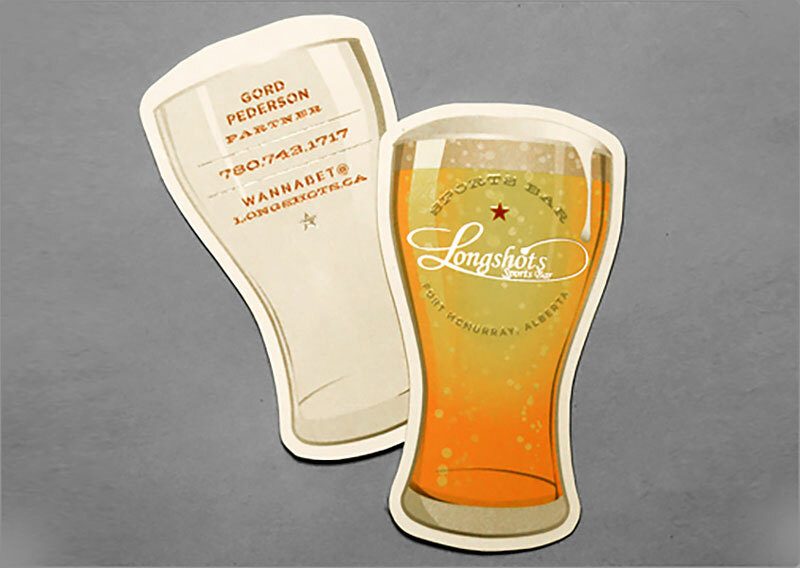 What would be better than a beer shape for a sports bar business card?